Has someone that you only know from the Internet asked you to send money to them or someone else using Western Union, Moneygram or some other form of money transfer service? It's a definite scam. Legitimate businesses do not ask you to send money to them by Western Union or Moneygram. Governments do not ask you to send money to them by Western Union or Moneygram. Shipping companies do not ask you to send money to them by Western Union or Moneygram. There are no mystery shopping jobs that involve receiving a cheque (check) and sending some money to someone by Western Union. 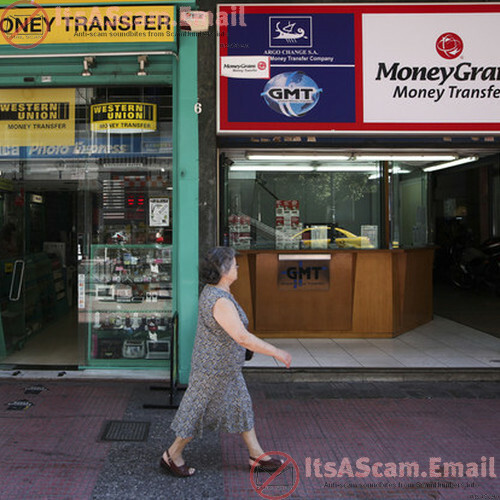 Scammers love using Western Union, Moneygram and other similar transfer services as it allows them to receive anonymous and irreversible transfers. Once your money is picked up, it is gone for good.